Accidents involving automobiles striking pedestrians often result in severe injuries such as spinal injuries, paralysis and even death. According to a study by the National Highway Traffic Safety Administration, there were 5376 pedestrians killed in auto-pedestrian accidents in 2015. Another 129,000 pedestrians hit by cars were treated for injuries during 2015. 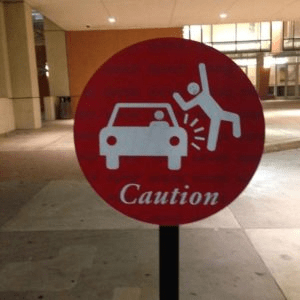 If you have been injured as the result of someone who failed to keep a proper lookout for pedestrians, you need an auto pedestrian accident lawyer on your side. Call Simmons and Fletcher, P.C. for a free no obligation consultation regarding your case. Furthermore, it is illegal to pass a vehicle that has stopped for a pedestrian crossing in a crosswalk. Violation of this section of the law resulting in an accident is a misdemeanor under criminal law and may constitute negligence per se for purposes of tort liability for damages. Hiring an experienced auto pedestrian accident lawyer can help you understand these laws further. Vacate the pedestrian’s lane when passing if there is another lane available. Yield the right-of-way to a pedestrian walking from the opposite direction when turning the vehicle left or right–even if this is a pedestrian on a sidewalk. Turning across a vulnerable road user’s path after overtaking a pedestrian walking in the same direction. Using the car to cause intimidation or harassment to a pedestrian. A Vulnerable Road User Ordinance is a powerful tool in the arsenal of a pedestrian accident lawyer when seeking to hold a driver responsible for striking a pedestrian along the roadway. If you or someone you love has been the victim of a pedestrian accident, you may have legal recourse. Don’t let a car accident wreck your entire life. Call the law office of Simmons and Fletcher, P.C. today for a free consultation. If we take you case, we pay the investigation costs up front and if we cannot make a recovery, you don’t pay those expenses back nor pay any attorneys fee. Call today: 800-291-0111.